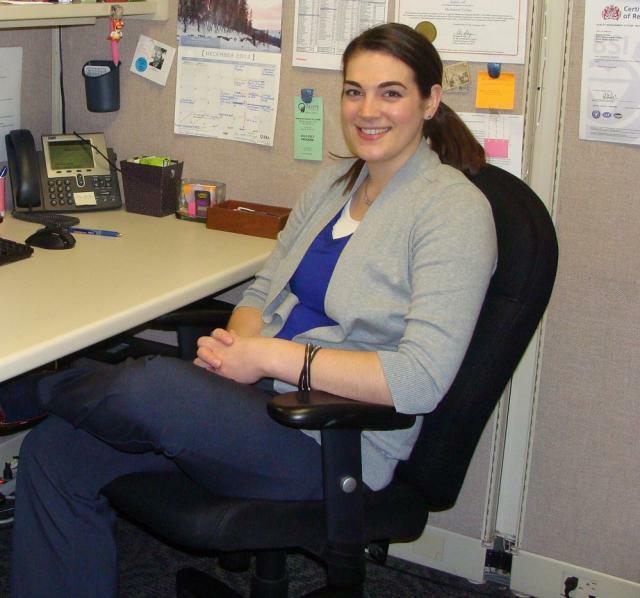 We recently got the chance to talk with Margaret Donohue, a quality engineer in the consumer products services division at Bureau Veritas in Buffalo, N.Y. In her role, Margaret works with the Quality Manager to support the Bureau Veritas staff in a variety of tasks – including auditing, problem solving, and process improvement initiatives. We’re always excited to hear more about the jobs of various quality professionals, and we’re happy to feature Margaret and her work as a quality engineer! 1. What led you to a career in the quality world? Before moving into the quality department at Bureau Veritas, I worked as a lab chemist performing various analytical chemistry methods. I have also worked as a biological and fisheries technician for the United States Fish and Wildlife Service and the University of Idaho. My experiences in the field and the lab have contributed to my appreciation for a well-defined quality system. I really started to become interested in quality when I came to Bureau Veritas and I had a chance to experience a fully implemented quality system. I had the opportunity to work closely with the quality staff on a variety of projects and problems while I worked in the lab and that got me interested in how I could contribute personally. When the position in QA opened up, I had just passed my CQE (certified quality engineer) exam a few months prior, so the timing worked out really well for me. 2. What gives you the greatest satisfaction in your work? I love working with people and coming up with new and innovative ways to solve problems. I really enjoy being tasked with investigating an issue and working through it to find a solution that will improve the process while motivating people. It is a part of my job to involve people in the process and get them excited about contributing to our quality system. 3. How do you use Minitab in your role as a quality engineer? Recently, I have been using the logical functions in Minitab to do some auditing of large spreadsheets to look for matching data. It has been very useful to help identify non-conforming text in cells, which I haven’t been able to accomplish with other programs. I also use Minitab to produce graphs of many varieties. My earliest experience with Minitab (before I was part of QA) was with control charts. The QA staff created control charts for me to utilize and I was able to plug my data in and judge for myself if my process was in or out of control. 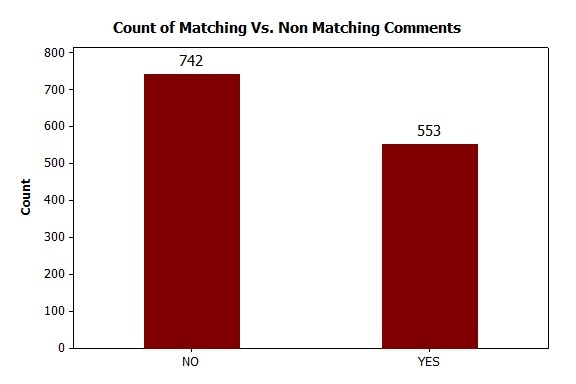 I work with charts, like this Bar Chart in Minitab, to help me count matches and non-matches in large spreadsheets of data when I’m completing audits for clients. 4. What are your interests and hobbies outside of work? I enjoy reading all genres of books and literature. I like playing team sports, and I currently play indoor soccer and I was the captain of my college rugby team. I also love to fish. Thanks Margaret! If you’re interested in being featured on the Minitab Blog, you can share your Minitab story with us here, or contact us on Facebook or Twitter.